While reading Villette, published by Charlotte Brontë in 1853, one cannot help thinking of Jane Eyre, the eponymous heroine of the novel published by the same author in 1847. The link means much more than the thematic and stylistic unity of a writer’s works. Lucy Snowe, the heroine of Villette, constitutes in fact the rewriting of Jane Eyre. Such rewriting is characterized by continuity as can be shown by the physical appearance, the strength of character and the progression of both heroines. However, there would be no interest in reproducing Jane Eyre identically and the outcome of the two novels presents a clear rupture, a rupture which has to be deciphered in order to understand the purpose of Charlotte Brontë in creating the filiation between Lucy Snowe and Jane Eyre. Cet article examine la transformation, dans Rebecca, du mythos que constitue dans Jane Eyre, la triade Jane/Rochester et Bertha Mason. Si l’autre femme fait figure ici d’obstacle à l’aboutissement de la quête de bonheur et de réalisation de soi de l’héroïne, son élimination opportune rend celui-ci finalement possible. Dans Rebecca, en revanche, la figure fascinante et complexe de l’autre femme est riche d’ambivalence et suscite chez la jeune héroïne narratrice qui l’a remplacée un désir d’exploration, puis d’identification, aboutissant finalement à une appropriation qui lui livrera plein accès à la maîtrise de sa destinée tout comme à son autonomie de sujet écrivant. Though no father actually appears as a character either in Jane Eyre or inWide Sargasso Sea, the father figure looms large in both novels, as a complex, protean and paradoxical entity, playing a crucial part in the fate of the protagonists. Jane Eyre and Antoinette Cosway are orphaned at an early age, Rochester’s father is depicted as remote and insensitive; the surrogate fathers —Antoinette’s stepfather, Jane’s uncles— mostly fail when they try to replace the missing one. Rochester himself is an ambiguous character who appears in both novels as a son, lover and husband on the one side, as a father figure on the other. In Wide Sargasso Sea he acquires through his marriage to the heiress Antoinette Cosway a legal authority which he eventually uses to destroy his wife; in Jane Eyre he first appears as the wealthier, more knowledgeable, stronger character before he discovers a female counterpart who does more than merely hold her ground. These different aspects of the father figure are closely linked to the motif of the garden which mirrors the inner development of the —mostly— female characters. It is not entirely similar to nature itself, though it is part of it; the latter means in both novels lethal dangers and elemental violence, whereas the garden is a sheltered place. In Wide Sargasso Sea, the debased garden of Coulibri simultaneously conveys a distorted, though by no means untrue reflection of the father figure and a sanctuary from the harshness of the outside world. It also means a place of peace and of simple joys for Jane Eyre, making up for the deprived life at the Lowood boarding school; but contrasting with Coulibri it does not preclude the contact with the outside world which she actually longs for. Hence the garden mirrors the crucial moments and experiences in the lives of both heroines, including love, married life and loss. Si Jane Eyre de Charlotte Brontë se lit essentiellement comme un roman qui recèle un secret en son cœur, le propos de Wide Sargasso Sea de Jean Rhys et de Rebecca de Daphné Du Maurier est en partie de dévoiler les strates qui enveloppent ce secret pour atteindre la vérité que contient Jane Eyre. Alors que Rhys et Du Maurier comblent les lacunes dans l’histoire de la première épouse, apportant des informations auxquelles Brontë se contente de faire allusion quand elle décrit le secret de Rochester & l’existence d’Antoinette / Bertha Mason la folle&, les lecteurs éprouvent des sentiments variés face à ces exemples apparemment innombrables de connivence entre les trois romans. Juxtaposer ces trois textes pour les lire comme un ensemble permet une interprétation plus riche et plus complexe par le biais du syncrétisme qui se met en place. Lin Haire-Sargeant’s 1992 novel The Story of Heathcliff’s Journey Back to Wuthering Heights is typical of the interest shown by contemporary American writers in Victorian novels. It could indeed be classified doubly as a “retro-Victorian novel” since it partly re-writes not only Emily Brontë’s most famous novel, Wuthering Heights, as the title points out, but also, somewhat less obviously, Charlotte Brontë’s Jane Eyre. We will study in this article how Lin Haire-Sargeant’s attempt at re-writing highlights the usual aims of the retro-Victorian novel: taking advantage of the blanks left by the source novels to propose to the reader a modern critical approach, while at the same time being as faithful as possible to the writing conventions of the 19th century, and suggesting another point of view on a well-known story, through a postmodern mixing of historical and fictive characters. D.M. Thomas’s rewriting of Jane Eyre in Charlotte (2000) takes the shape of a transformation of the ending which enables the second Mrs Rochester’s story to be continued in the West Indies, thus also acknowledging Jean Rhys’s Wide Sargasso Sea as another intertext. In order to challenge the narrative and ideological hierarchy of the source text by rewriting its ending, the pastiche defamiliarises it while some chapters set in 1999 move the limits of rewriting and take the reader into a narrative spiral. Adèle is a rewriting of the story of Jane Eyre published 150 years before. Emma Tennant, who is a specialist in the field of « revisions » puts Adèle, Jane’s young pupil in the Ur-text, in the limelight by giving her a « story of her own », as if she were taking her revenge on the original text which had given her so insignificant a part. Although none of Brookner’s twenty-three novels to date actually re-write Jane Eyre as hypotext, Brontë’s novel is part of the pervasive intertextuality of Brookner’s text, addressed here as a monolithic fiction. This omnipresent intertextuality, which is the key to understanding the whole œuvre, serves to define the moral codes followed by the heroine and to make a philosophical metacommentary on contemporary culture. Brookner’s characters read and comment on Jane Eyre, the heroine takes Jane as a role model of virtue and the masculine characters are divided into those who resemble Mr Rochester and those who belong to the same category as St John Rivers. But Brookner’s text is a re-vision of Brontë’s novel, as of other novels set in the tradition of the classic realist text and of romance, which have Cartesian rationalism and Christianity as philosophical underpinnings. Brookner reverses the poetic justice of Jane Eyre, which is re-contextualised to fit a new moral landscape in which God is dead as ultimate justification for virtuous conduct. Whereas Jane Eyre can ultimately be read as a “Victorian romance” which preaches reason in the name of social order, by replacing the traditional happy ending by an unhappy ending in which virtue is punished and by foregrounding the disastrous effects of suppressing passion in the name of reason or self in the name of the other, Brookner announces the end of a philosophical humanistic tradition in which the subject / object or self / other opposition gives rise to a host of binary oppositions, the notion of centre validating the dominance of one of the terms of the hierarchy. 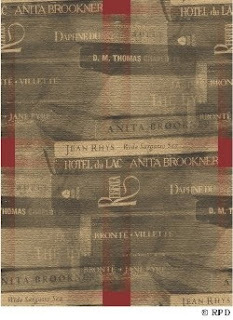 Dans le quatrième chapitre de son ouvrage intitulé Brontë Transformations (1996), Patsy Stoneman révèle l’importance des reprises et transformations dont a fait l’objet Jane Eyre (1847) de Charlotte Brontë dans diverses pièces de théâtre, romans et films depuis sa publication initiale. L’un des avatars les plus intéressants mentionné par P. Stoneman est Rebecca d’Alfred Hitchcock (1940) d’après le roman à succès éponyme de Daphné Du Maurier paru en 1938. Parmi les nombreux éléments communs au roman de Brontë et au film d’Hitchcock figurent l’héroïne orpheline consciente de son physique ordinaire, un personnage masculin maussade doté d’une épouse “présente-absente” et une intendante dont le tempérament influence l’atmosphère du manoir dans lequel l’héroïne réside temporairement. Un autre point commun, plus difficile à déceler car profondément intégré à chaque œuvre, est le portrait de l’héroïne en oiseau prisonnier. Ce(tte) subtile trope/métaphore mérite d’être remarqué(e) car non seulement l’image constitue un lien entre les deux œuvres mais elle permet aussi, dans ses diverses manifestations, de les différencier. Tandis que dans Jane Eyre, l’image de l’oiseau apparaît chaque fois que Jane s’échappe d’un lieu qui l’emprisonne, celle de la cage s’avère être l’élément dominant dans le film d’Hitchcock, imposant finalement des limites infranchissables à la liberté de l’héroïne. La pièce de théâtre gothique de Debbie Shewell intitulée More Than One Antoinette fut présentée à Londres en 1990 au Young Vic Studio par la troupe féministe britannique Monstrous Regiment. Cette pièce propose une révision de deux textes: Jane Eyre et Wide Sargasso Sea. Elle tente d’instaurer un dialogue critique entre les deux histoires afin d’aborder la question du sujet féministe britannique contemporain.Reprenant l’argument de Judith Halberstam selon lequel « la littérature de l’horreur » a la « faculté de transformer les combats politiques en états mentaux » et de « brouiller la distinction entre les deux », cet article examine le regard critique que pose Debbie Shewell sur Charlotte Brontë et Jean Rhys et analyse la portée et les conséquences de l’interprétation psychologique que fait Debbie Shewell de Bertha Mason Rochester et de sa relation avec Jane Eyre. 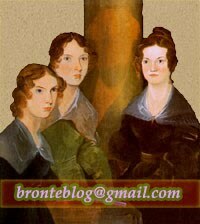 This article discusses Michael Berkeley’s opera Jane Eyre. Premiered on June 30, 2000 by Music Theatre Wales at the Cheltenham International Festival of Music, this opera is based on the novel by Charlotte Brontë and the libretto is written by the Australian poet, novelist, playwright and librettist, David Malouf. It was risky and daring to try to adapt this famous and long novel for the stage. We will particularly focus on the similarities and differences between the novel and the opera as well as on the strategies used both by David Malouf and Michael Berkeley to adapt it. Through the analysis of the similarities we will see how Michael Berkeley set to music some of the great themes and elements of the novel: passion, a sense of entrapment, the “Gothic” atmosphere. On the other hand, the analysis of the discrepancies between the novel and the opera as they appear in both the libretto and the music will lead us to a modern apprehension of the characterization of madness as well as of the metafictional dimension of the rewriting of Jane Eyre by David Malouf and Michael Berkeley.